Klayman: Curious Choice After Lemon Accused White Men of Being Racists! 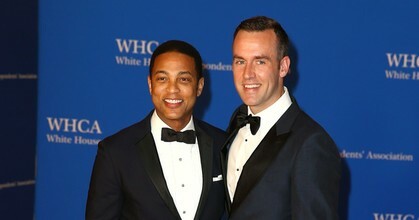 Congrats are in order for Don Lemon and Tim Malone — they're engaged! "He gave me a present on his birthday. How could I say no?" Lemon wrote in the image caption. In the photo, we see customized dog tags on the collar of their pets Boomer and Barkley with the words: "Daddy will you marry Papa?"